the independent judicial body of the government. She has been suspended after the impeachment motion filed against her with the signature of parliament members. The coalition government formed by the Maoist and Nepali Congress Party accused her of the interference of the Supreme court last month where the supreme court had overturned the choice of government for the police chief. Jaya Bahadur Chand was appointed as the chief of Police but the supreme court stood on its stand and ruled considering the highest-ranking officer Navraj Silwan Should be on the top of the Job. She has been automatically suspended from her office as the impeachment committee is formed and the investigation is going on. At least 249 legislators from the NC and Maoist have signed the impeachment. History shows that the government takes the political interference in key civil appointments like the head of police. Expert says that due to the fight of power and prejudice, Nepal has had nine governments after the peace accord of 2006 which has officially ended the Maoist insurgency period because each of the successive government is seeking to utilize its power to fill their people in the key positions. 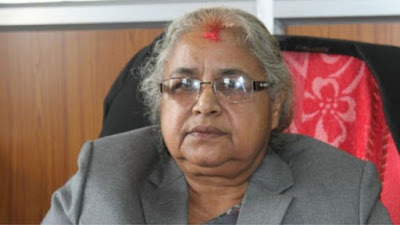 The conclusion will be made by the parliament which requires the two-third of the vote but Ms karki who currently 64 is due to retire in June. Karki was working on fairly and had no patient for the corruption in law. It has been the shame of the world as the chief justice who stands against the corruptions faced impeachment by the legislature just accusing as an intervention of government for a civil appointment. Numerous people are in protest in favor of Sushila Rayamajhi against the impeachment. The legislatures have gone against the rule of law even in general understanding they are turning the nation as an autocratic and feudal nation forgetting the values and norms of Federal Republic Democratic nation of Nepal. Due to their intentions of filling the people the turnover of the government has raised and brought the biggest turmoil in the nation.